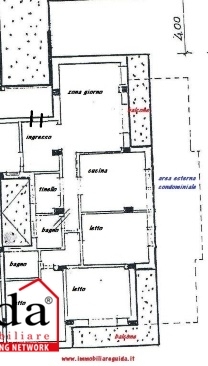 About 165 square meters apartment in a central location in Casarano in a context of 16 very well located residential units and four levels. The first floor apartment comprises entrance hall, large living room with balcony on the courtyard, three bedrooms with balcony, double hallway, two bathrooms, storage room with outside space. The apartment has an independent heating system. The building has a lift. Opportunity to buy a garage of 20 square meters.